high fibre, low protein hay - a combination critical to the health of rabbits and other small animals. The protein and fibre levels help keep your pet’s gastrointestinal tract functioning properly. 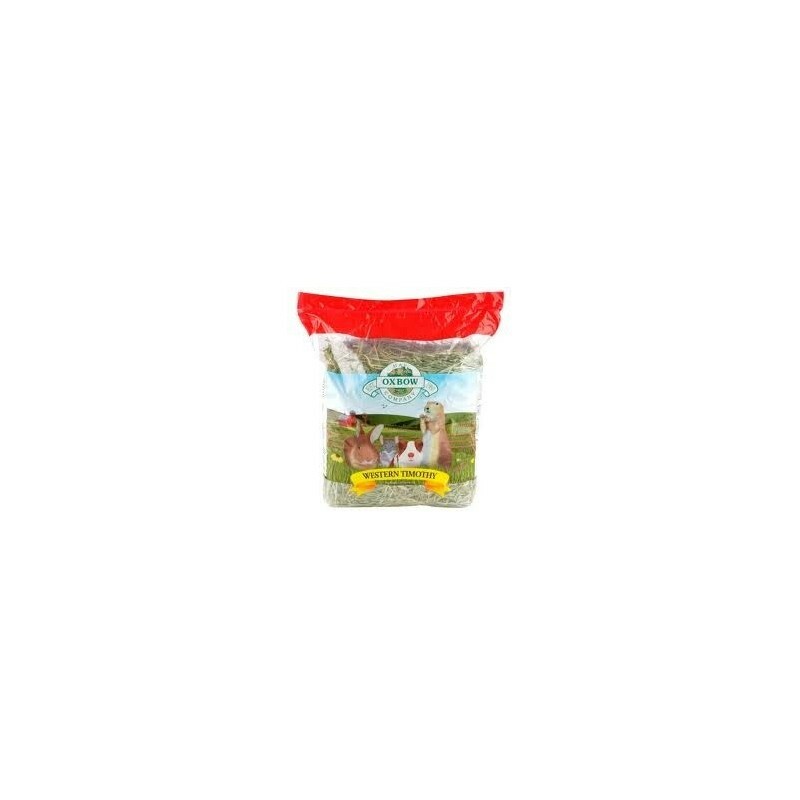 A high fibre, low protein hay - a combination critical to the health of rabbits and other small animals. The protein and fibre levels help keep your pet’s gastrointestinal tract functioning properly. Timothy Hay should be fed free-choice daily. Timothy Hay is better because it is straight from the farm; it is sun-dried naturally and cured, and hand sorted. It is also virtually free from pesticides - with the minimum legal requirements used. This makes it more fragrant and greener, and it smells better than most hays, making it more palatable. Most herbivores will like Timothy Hay even if they don’t usually take hay or other fibre. 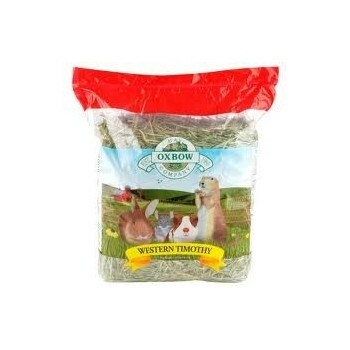 However Timothy Hay is more suitable for adults due to the low calcium content. When you open a bag of Oxbow Hay, your senses will know it! Your eyes will see a bright green hay and you will smell a pungent fresh, grassy smell. You need to encourage your pet to eat as much grass hay as you can get them to eat. A rabbit can and should eat a pile of a hay about the same size as their bodies each day. That is why grass hay should be fed free choice, meaning always make sure there is some available for them to eat.